What is Cortana? Cortana is a personal assistant application released by Microsoft for the Windows Phones OS. It allows users to operate and interact with their phones by issuing voice commands. Rather than only accept predefined voice commands, Cortana is able to recognize commands spoken in natural language. This allows users to speak naturally as they use Cortana. It also encourages users to attempt a variety of commands. Cortana commands include those for making phone calls, for checking and sending messages, for creating reminders, and for sending search queries. Cortana learns over time how to give tailored responses to its users. Cortana can also make use of the phone’s location to provide information about local business, maps, and directions. To see a full list of Cortana Commands and examples for how to use the application, see our home page which is continuously updated. Cortana was first demonstrated during Microsoft Build Developer Conference of 2014. A beta release was then made available to the public. 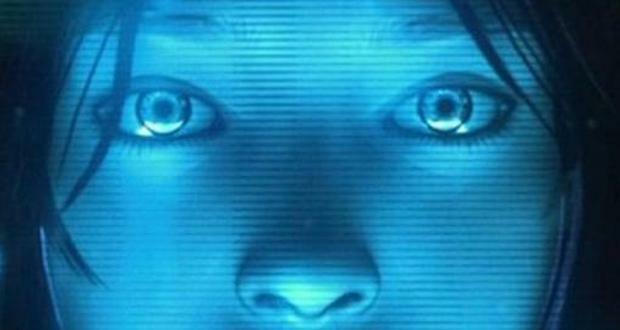 The name “Cortana” comes from a character of the Halo video game series. Voice actress that provided the voice for the Halo character (Jen Taylor) also provides the voice for the US version of the Cortana app. The creation of Cortana allows the Windows Phone platform to compete with existing personal assistant applications available for iOS (Siri) and for Android (Google Now). Cortana understands most of the typically used commands available on the other platforms. One notable ability Cortana has that the other platforms do not is its contextual reminder commands (see the commands page for more info). Cortana is available now for phones equipped with Windows Phone 8.1. Support for the XBOX One, Windows 8 PCs, and Windows 8 Tablets is expected sometime in the near future.